Create an unordered list with the class “nav” (<ul>), then for each menu item we will add a new list item (<li>) with an anchor tag (<a>) inside. If you want the menu item to be a mega menu just add a <div> inside of the <li>. As the default styles of the browsers differ from each other, we’ll add some reset styles to keep consistency between them and avoid future issues. Then we will add some basic styles to the menu container and float the list items to the left in order to show them on the same line. We will start with the common styles like padding, height, position, etc. Then we’ll set the typography styles such as font size, color, text shadow, etc. We’ll also set a background color and a left and right border. 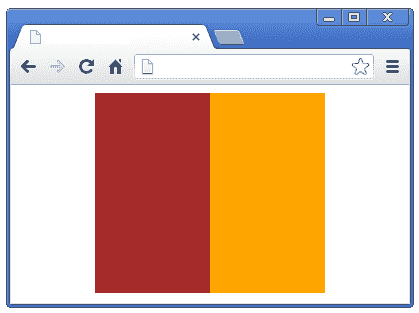 To keep the styles transitions smooth we’ll add a CSS3 transition. Note that we set the same property five times, this is required because this property is not fully implemented in all browsers yet, and as this property is on testing, all the different browsers use a prefix before the property. So if you want to support some current and older browsers use this prefixes. For the hover state we will only change the background color. 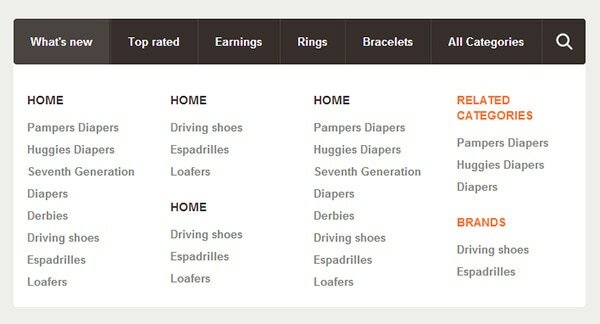 To finish the menu links styling we will add rounded corners to the first link using the :first-child pseudo selector and remove the left border. We’ll start with the form container: set the position to relative, add a left border like we have on the menu links and set the width to inherit. By setting the width to inherit it will use the width from the child inputs. Then we will style the text input: float it to the left, set the height, padding, etc. 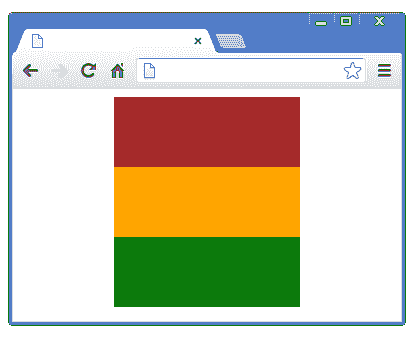 To hide the text input we will set the width to 1px and remove the left and right padding. 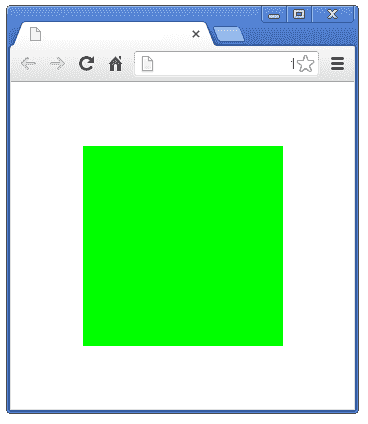 On the :hover and :focus state we will update the width and padding values. The styles for the submit input are similar to the text input, we’ll only set a fixed width and height, add a background icon and rounded corners using the border-radiusproperty. We have also set transitions for both inputs in order to have some smooth and nice animations. 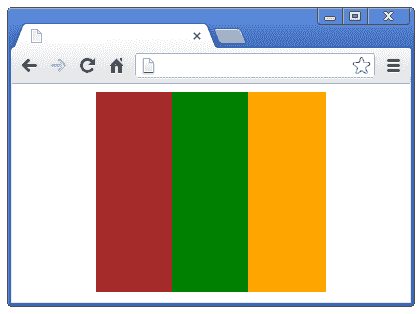 In CSS, float-based layouts are not much flexible, however, a float is somewhat more difficult to center. Is there any way to center floating elements? This is an age old question. You can float left or right, but there’s no way to float center in CSS layout. You can solve it in a simple way. 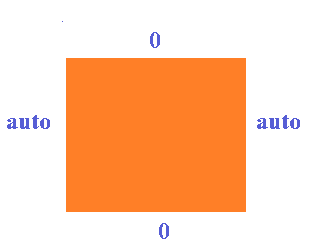 The above code states that the TOP margin and Bottom margin are set to 0 and LEFT margin and Right margin set to auto (automatic). Here the automatic left and right margins push the element into the center of its container. From the above picture you can understand how it display at the center of the screen. 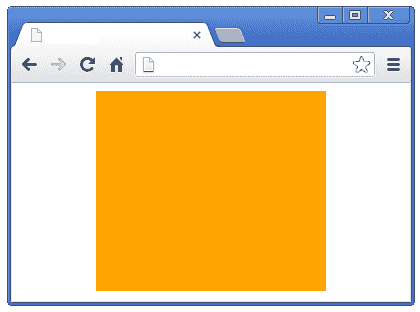 The following source code shows how to center Div in the middle of browser. Exactly center means, position Div horizondaly and virtically at the center of the screen. After my recent post, Crafting Native Looking iOS Apps with HTML, a number of you asked for an offline version that would use a Local Database (instead of the simple in-memory store) and provide a mechanism to automatically keep the local database in sync with a server database. I’ll save automatic data synchronization strategies for a future post, but here is the first step: an “offline” version of the application that uses the device’s or the browser’s local database as its data provider. This version still uses Backbone.js as its architectural framework. Backbone.js makes it easy to change its default data access mechanism (which assumes RESTful services). You just replace the default Backbone.sync implementation and provide your own data access logic: in this case, some local SQL logic. The Web SQL specification defines an API for storing data in databases that can be queried using a variant of SQL. This specification is no longer in active maintenance and the Web Applications Working Group does not intend to maintain it further. The Indexed Database specification defines APIs for a database of records holding simple values and hierarchical objects. It is a working draft, and “work in progress”. Even though the W3C is no longer actively maintaining the spec, this application uses the Web SQL API because, as a mobile app, its two main target platforms are iOS and Android, which both currently support Web SQL but not IndexedDB. More detailed platform support information can be found on caniuse.com (Web SQL and IndexedDB). Firefox and IE don’t support Web SQL. You could easily create an alternative version of EmployeeDAO (described below) that uses IndexedDB instead. You could also create a version of the application that uses either Web SQL or IndexedDB depending on the platform it’s running on. The data access logic is encapsulated in EmployeeDAO, which also has a “populate” function to populate the employee table with sample data. Models are annotated with a “dao” attribute to indicate which data object to use to access their underlying data. The source code is available in the localdb folder of the backbone-directory repository on GitHub.